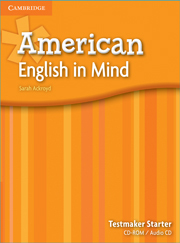 American English in Mind is an integrated, four-skills course for beginner to advanced teenage learners of American English. The Testmaker Audio CD and CD-ROM gives teachers the flexibility to create and edit their own tests. Teachers can choose from unit tests, which can be combined in pairs, and end-of-term tests. There are also options to test the same course content at both 'standard' and 'more challenging' levels. The Testmaker can also produce two versions of each test to prevent students from sharing answers. 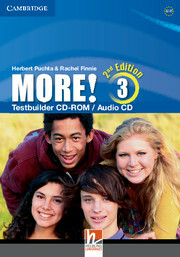 The package consists of a Testmaker CD-ROM plus an audio CD.